Following the low FODMAPs diet as a vegetarian or vegan can make it difficult to include protein-rich foods with main meals, as most of the legumes and lentils are high or moderate in galacto-oligosaccharides (GOS) to be included in the diet or are only classed as ‘Low' in small quantities (1/4 cup of chickpeas or 1/2 cup of tinned brown lentils). Plain Tofu and tempeh are great alternatives to legumes as they are low in FODMAPs and a good source of protein, iron and zinc, which makes them nutritious foods for people on plant-based diets. Many people are unsure of how to incorporate tofu into their diets, so here is one way you can include tofu into your low FODMAP diet. 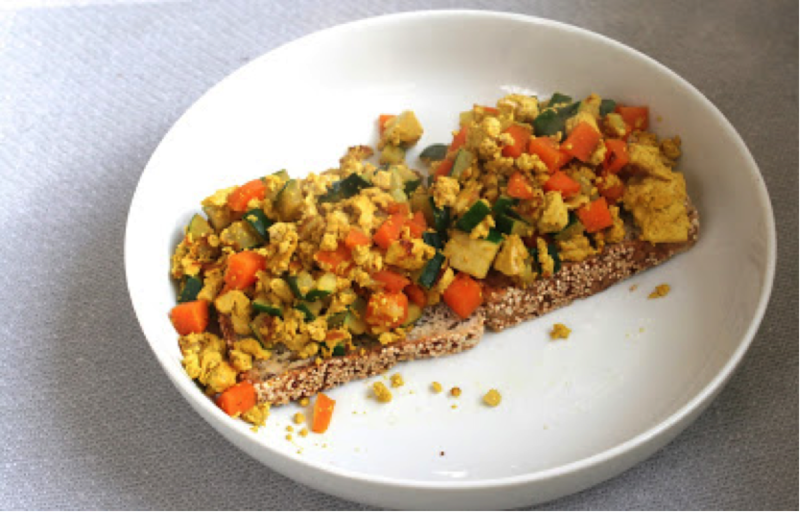 This scrambled tofu recipe is a great option for people who prefer a savoury breakfast, or a quick and easy dinner meal! Stay tuned to see our next vegetarian/vegan recipe "Marinated Tofu" which will be coming out this coming SAT 22nd Aug 2015.